Felix Flamingo answers important questions about Alzheimer's Disease! 12 of your frequently asked questions all answered in this informative flyer! Caring for loved ones with Alzheimer’s Disease or Dementia can be a confusing, emotionally taxing and overwhelming experience for caregivers and family members. Fortunately the Caregiver’s Guide to Alzheimer’s Disease is available to help. The guide features 20 memory care experts (including Dr. Karen Truman) tapping into their years of experience and collective advice on the topics of Alzheimer’s Disease, Dementia and memory care. I have worked with Hospices and Hospitals for 20 years. Through this experience I have been with over 1,000 people in their transition (dying) process. The Irv Weissman Adult Day Center, conveniently located in the Samson Nursing Center, was established to improve the quality of life for independent older adults in the community and for those who care for them. It provides a comprehensive program providing complete support for the frail independent elderly and, at the same time, respite and peace of mind for the caregiver. ResCare HomeCare is the largest provider of private duty in the country & has been in business for over 35 years. We offer everything from companionship to personal care to nurses that can assist with medication management. Our licensed, bonded, insured and fingerprinted caregivers offer companionship & customized, hands-on assistance with day-to-day activities so your loved one can stay at home, Please call us today for a FREE in-home consultation or assessment. The Better Living for Seniors Consortium will promote continuing service excellence to seniors through proactive, visionary, and ethical leadership in networking, education and collaboration. The mission of the Deaf and Hearing Connection is to EMPOWER people affected by hearing loss to function as productive, independent and self-reliant citizens. FloridaRXCard, a free prescription drug card program, partnered with the Florida Medical Association. We are working with many outreach programs, including Alzheimer & cancer programs, Florida Rural Health Network, clinics, etc. to help reach the uninsured and underinsured in our state to afford their prescription medications. Savings with our drug card can be up to 30-75% off retail price for most brand & generic FDA-approved medications. Our card is completely free to everyone. We are completely HIPAA compliant: No personal information will be sold, shared or distributed. Download the FloridaRx FAQ and article. pdf for more info. Florida Telecommunications Relay, Inc. (FTRI) is a statewide non profit 501(c)3 organization that administers the Specialized Telecommunications Equipment Distribution Program for citizens of Florida who are Deaf, Hard of Hearing, Deaf/Blind and Speech Impaired. FTRI is also responsible for the education and promotion of the Florida Relay Service. We stress the value of our commitment to provide services and amenities which embrace a gracious community lifestyle. For an affordable lifestyle with uncompromising standards of excellence. 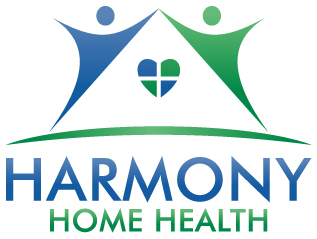 Harmony Home Health gives you sensible elder care options and the caregiver support you need to make the right decisions for you and your loved ones while staying in the comfort and security of your own home. The Lewy Body Dementia Association (LBDA) is a 501(c)(3) nonprofit organization dedicated to raising awareness of the Lewy body dementias (LBD), supporting patients, their families and caregivers, and promoting scientific advances. The Association's purposes are charitable, educational, and scientific. At Relief at Hand, LLC, we offer Physical Therapy, Massage, and Acupuncture. Our office is bright, airy, calm and comfortable. We provide our treatments one on one to all of our patients in individual therapy rooms (no flimsy curtains) or in our therapy gym as needed. Provides a wide spectrum in information and contacts that seniors can identify and utilize. The elder law practice of Sean W. Scott encompasses all aspects of planning, counseling, educating, and advocating for the senior client concerning illness, incapacity and death. Senior Living Online - Your source for senior housing and support services in Tampa Bay and the Gulf Coast of Florida. As a Continuing Care Retirement Community, the St. Mark Village offers gracious living for adults 62 and older with active and independent living for today, and a guarantee of comfort and care for tomorrow.